Illinois Cosmetologists are required to complete 14 hours of continuing education before your license renewal on September 30th of each odd-numbered year. A maximum of 50% (7 hours) of the total CE hours may be obtained through home study or online courses. The other 7 hours must be in the classroom. Beauty Academy is an approved provider of continuing education for cosmetologists in Illinois. Or Illinois CE Sponsor Registration number is 190-000587. 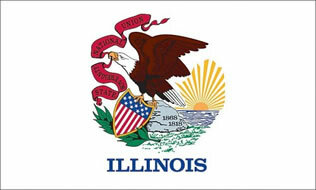 Click here to view a copy of our Illinois license. If your continuing education provider is not approved by the Illinois Department of Financial and Professional Regulation, then the course will not count towards your continuing education hours needed to renew your license. You may have already received our continuing education course book for Illinois cosmetologists by mail. If you are ready to take the test online, you must first purchase the course using the BUY NOW button above. The test online is identical to the exam in your book. If you did not receive our book, you can download the course book from our site. After you purchase the course, you will be taken to a receipt page which has a link to take the final exam. This link will also be emailed to you. Once you pass the exam, you can immediately download and print your certificate. Completing your Illinois cosmetology continuing education is a simple process. Illinois cosmetologists must fulfill a requirement of 14 hours of continuing education to renew their Illinois cosmetology license. Our online and correspondence continuing education classes are approved to fulfill the Illinois cosmetology continuing education requirements. That said, not all online and correspondence continuing education courses are approved in Illinois for license renewal, so before taking a course other than ours, you will want to make sure that the course is approved. If your continuing education provider is not approved by the Illinois Department of Financial and Professional Regulation, then the course will not count towards your continuing education hours needed to renew your license. Do you offer any continuing education training that is not online or correspondence? We offer online and correspondence continuing education to renew your Illinois license. We do not offer any classroom continuing education courses for Illinois. We find that most students prefer to complete their continuing education online on their computer, smartphone, or tablet – or out of our course booklet. Yes, all graduates of our Illinois cosmetology continuing education course will receive a certificate of completion. We can either email, mail, or fax the certificate to you. Do I need to provide my certificate to the Illinois Department of Financial and Professional Regulation to prove that I completed my continuing education when I renew my license? 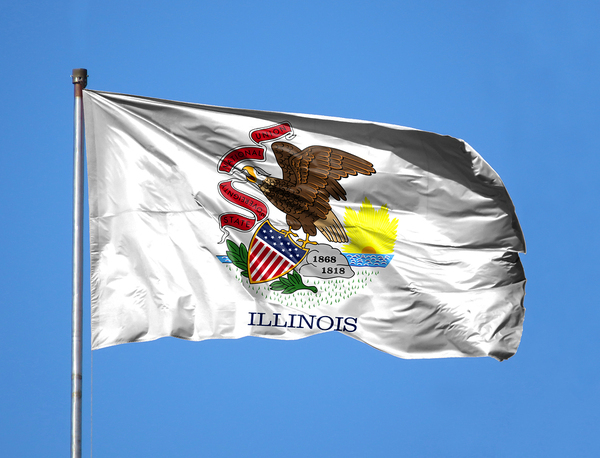 The Illinois Department of Financial and Professional Regulation may ask you to provide them with a copy of your continuing education certificate so be sure to hang on to it. Yes, our courses are approved by the Illinois Department of Financial and Professional Regulation for your continuing education requirements. No, you can complete your entire Illinois cosmetology continuing education course today, or over the course of several days, picking up right where you left off. No. Completing your continuing education credits does not complete the renewal of your license. Once you have completed all of your required continuing education, you must pay the Illinois Department of Financial and Professional Regulation the license renewal fees, as we cannot do that for you. No problem. Just call our continuing education specialists at (888)290-9739 or email us at support@beautyce.com and they can walk you through what you need to do to complete your Illinois cosmetology continuing education requirements. Illinois – It doesn’t matter whether you want to complete our cosmetology continuing education courses in Chicago, Springfield, Champaign Rockford, Peoria, Naperville, Aurora, Joliet, Schaumburg, or Elgin – our online and correspondence cosmetology continuing education courses can be completed from anywhere.